The Controlled Screen Return (CSR) system adds an impressive feature to the ever-popular Model B design. The CSR system ensures the quiet controlled return of the screen into the case providing optimal performance and smooth, consistent operation. Screens with the CSR feature must be fully extended. There are no intermediate stopping positions. 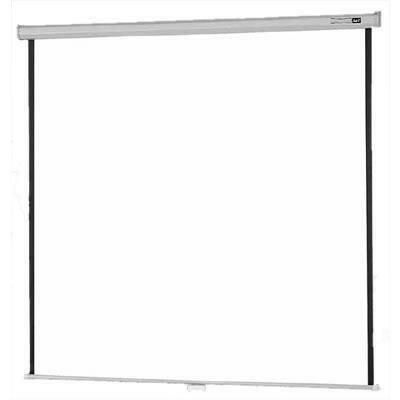 Additional Information Nylon bearings provide smooth, quiet operation; CSR feature assists in the quiet, controlled return of the screen into the case; Case design allows mounting to ceiling or wall; Easy pull-down system locks at intervals to fit a variety of projection formats.